The CBA Board of Directors has approved 32 policy statements on a wide spectrum of interests including quality and safety, research and development, legislation and regulation, market expansion and public education. Development of the 32 policy statements was begun during the board’s strategic planning retreat last year, and carried forward by the association’s Government and Public Affairs Committee. The statements were then officially adopted during the board’s second annual meeting that was held in conjunction with the International Cord Blood Association in San Francisco. 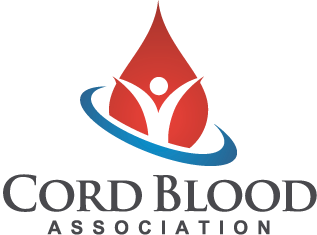 The CBA strives to provide dynamic, effective leadership for the cord blood community. The CBA is committed to high ethical standards and scientific integrity. CBA welcomes all who meet membership requirements and wish to support the association’s mission. The CBA is committed to collegiality and positive interaction among its members. The CBA works collaboratively with all components of the cord blood community, including public banks, family banks and industry partners. The CBA supports quality cord blood and related products and services. The CBA supports clinical and laboratory standards and accreditation to promote quality cord blood and related products and services. The CBA is committed to working with all interested parties to ensure that cord blood products and services and related therapies reach their full potential. The CBA promotes innovative, evidence-based research to advance laboratory technologies and clinical therapies using cord blood and related products. The CBA endorses basic and clinical research and rapid adoption of novel technologies in cord blood banking and cellular therapies. The CBA recognizes that clinical research using cord blood and related products in regenerative medicine looks promising and is likely to expand in the coming years. The CBA is committed to educating, informing and empowering expectant parents, donors, health care professionals and patients with respect to the benefits of cord blood and related products and services. Expectant parents, prior to labor and delivery, should be educated about the four options for their baby’s cord blood: public banking, family banking, medical research or discard as medical waste. Health care professionals should provide all expectant parents with fair and balanced information on cord blood options: public banking, family banking and medical research. The rights of expectant parents to make the choice they believe is the best for them should be respected. The CBA is committed to be the unified voice of the cord blood community. The cord blood community should have a voice in national and international health care policy, legislation, regulation, and public and private health care programs. The CBA supports expanded public access to cord blood banking services and cellular therapies. A growing public inventory of high-quality cord blood is of benefit for public health. Marketing of cord blood services must be ethical, balanced and evidence-based. Misrepresentations, omissions, unsubstantiated claims and emotional appeals intended or likely to mislead are unacceptable. Increased public funding, public-private partnerships and alternative collection models are critical to expand and diversify the inventory of publicly available cord blood. Government regulation of cord blood banks should ensure public safety, without limiting patient access. Licensure of cord blood banks should not unnecessarily slow the growth of cord blood inventories. The intent of cord blood licensure is to assure that available units are safe and effective, but the manner in which licensure is implemented should not create significant barriers that stifle innovation or make it more difficult and costly for patients to access units for transplantation. Government regulation of cord blood should take into consideration research and emerging applications in cellular therapy and regenerative medicine. Minimally manipulated cord blood units should not be regulated as if they were drugs. The collection, processing, storage and release of cord blood units is different than the manufacturing processes used to create biologics and pharmaceutical products. A cord blood donation to a public bank is a potential gift of health and well-being for a seriously ill person. Donors should be held in high esteem, and the donation managed with great respect. The CBA supports directed-donor programs whereby both public and private banks serve families that have individuals with an existing condition that can be treated by cord blood therapy or transplant. The CBA aims to support a thriving community of both public and private banks that preserve high-quality cord blood and related products. The CBA encourages collaboration across public and private banks to improve access to all banking options. Society benefits by having strong systems of both public and private cord blood banks. Advancement of both models helps build a diverse cord blood inventory worldwide and promotes research for new therapeutic applications. The future looks promising for stem cell expansion, whereby all units of cord blood may become more useful in clinical applications. Cord blood is an important component in the future of hematopoietic stem cell therapy, cellular therapy and regenerative medicine. Its potential will be realized through basic and clinical research and greater awareness of its therapeutic value.